The Plantation Field International Horse Trials is in our 12th year! Join us this year in September as we draw fans of all equestrian disciplines along with families to enjoy a weekend in the beautiful countryside of Chester County. 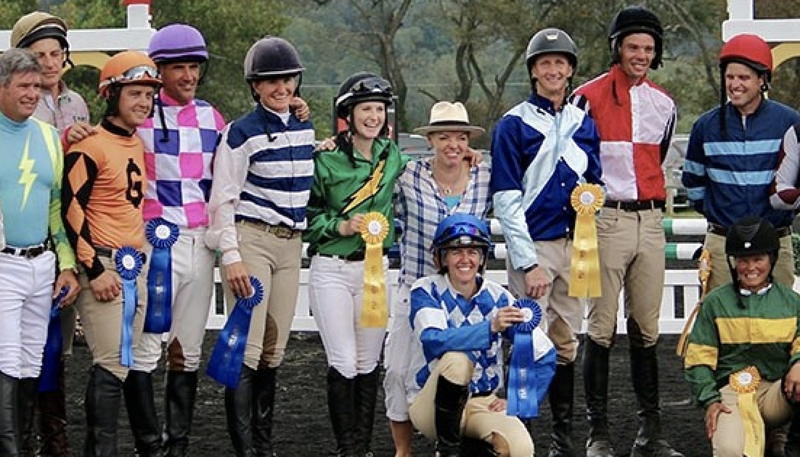 The event is not only a premier competition of the best event riders and horses in North America but also a weekend of entertainment for the whole family. We have Vendor Shoppes, a Kids Corner, parties in the evenings for our sponsors and plenty of entertainment for everyone all day long! Spectators can enjoy watching the entire competition from the general admission hillside, or the best seats in the house are our tailgate section right up close to the action for the thrilling cross country rides on Saturday day Sunday! Plantation Equestrian Events, along with our beneficiaries: Retired Racehorse Project, Cheshire Land Preservation Fund, and Chester County Food Bank are charitable organizations which support equestrian sports, protect the land of Chester County and serve our community. We rely on supporters like you to make this the BEST EVENT EVER and support our charities. Please join us for an exciting weekend in September. Plantation Field Equestrian Events is a designated 501(c)(3) corporation for tax-deductible donations. Known as one of the most iconic venues in North American eventing, Plantation Field can be likened to Keeneland or Saratoga for equestrians. Each year the facility hosts the Plantation Field International Horse Trials, one of the premier eventing competitions in North America that routinely draws Olympic and World Equestrian Games-caliber competitors. Last year Plantation Field launched the Real Rider Cup, a celebrity charity equestrian competition aimed at bridging the gap between the on-track and off-track worlds. Held on the Sunday of the Plantation Fields International, the event consisted of four teams of five riders, with each team representing a different sector of the racing community. Each rider was mounted on an off-track Thoroughbred and together they navigated a stadium jumping course, trying to keep the rails up, beat the clock…and stay on their horse! viewing our 2018 Sponsorship Brochure. Please email inquires to info@plantationfield.com.